New player Golden Bay Fresh Landholdings, Inc. will hold a 2-day open house for its premier project, Aspire Corporate Plaza today until Sunday at the Golden Bay Restaurant along Macapagal Avenue in Pasay City. Aspire Corporate Plaza is the first property in the Macapagal Bay area to sell office spaces. 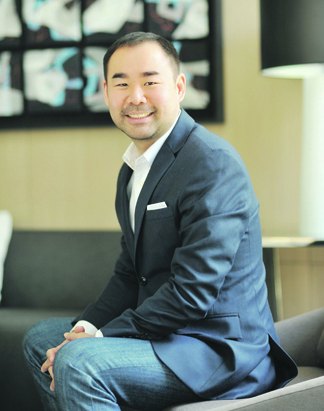 The open house will feature property guru Carl Dy of Spectrum Properties (Shown here) who will speak about opportunities in the growing Bay Area. “Now is the best time to consider the immense potential of Metro-Manila’s next prime office location, the Macapagal Bay Area. It is a sound investment worth considering,” said Jardin Wong, chief operating officer of Golden Bay. The weekend open house will have four-time slots on each day: 9:30am, 11:00am, 3:00pm and 5:00pm. Aspire Corporate Plaza is a 10-story building development that will be constructed on a lot area of 3,500 square meters along Macapagal Boulevard. The project, expected to be completed by 2020, is being built by Megawide Construction Corporation, Sta. Elena Construction and Development Corporation, and Meinhardt Philippines Inc.